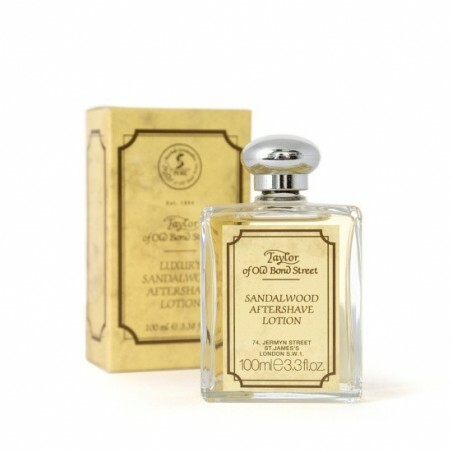 Taylor of Old Bond Street Sandalwood Aftershave Lotion 100ml. 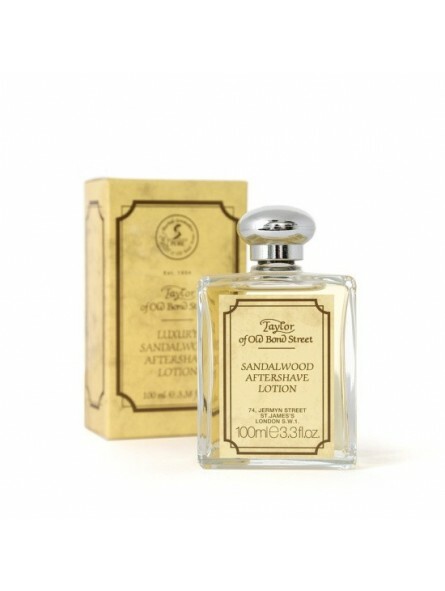 A classic and masculine scented splash-on aftershave lotion that is based on a formula which has been passed down from generation to generation in the Taylor Tradition. Fragrance Notes: A classic aromatic citrus fragrance opening with top notes of fresh lemon blended with uplifting herbal nuances of lavender, thyme and rosemary, A fresh, green floral heart of jasmine and white cyclamen is warmed by a subtle spice accord before descending into a base of precious woods, moss, and amber musks. Contains essential oils of: Lemon, Thyme, Rosemary, Lavandin, Galbanum, and Patchouli.